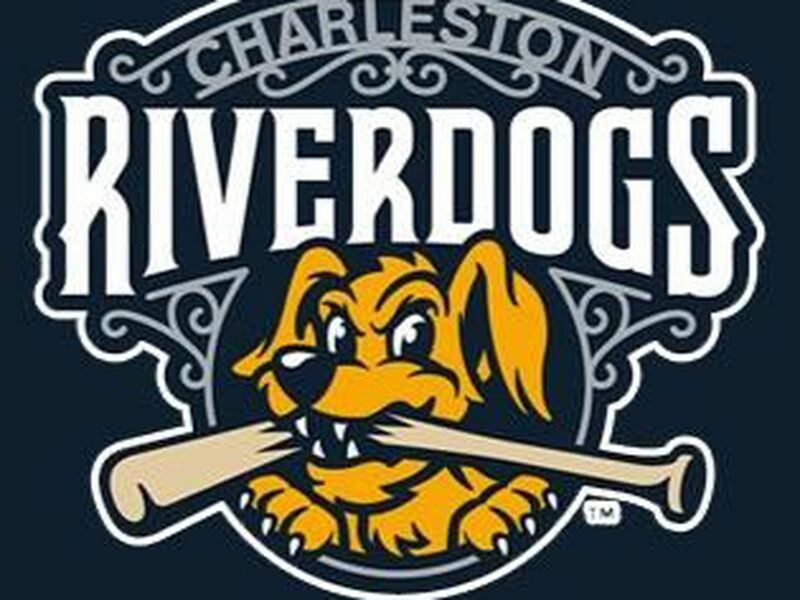 CHARLESTON, S.C. – The RiverDogs were two outs away from a series-clinching win over the Greenville Drive, but ultimately couldn’t finish the job as they fell 4-3 with 3,237 in attendance at Joe Riley Park Tuesday night. The Drive (5-7) scored quickly in the top half of the first inning on a walk and an RBI double allowed by starter Roansy Contreras (2-0, 3.14), but Charleston (6-7) quickly responded with a run of its own in the bottom half. Center fielder Brandon Lockridge lined the first pitch he saw to center for a leadoff triple, his first of the season. Second baseman Kyle Gray followed him up with a ground ball RBI single to right, again on the first pitch of the at-bat. The score remained deadlocked at one until a leadoff single by DH Korby Batesole in the top of the fifth and a wild pitch which moved him to second, shortstop Grant Williams lined an RBI triple off the right field wall to break the ice and put the Drive ahead. For the second time Monday night, Charleston answered back immediately in the bottom half of the frame. The Dogs loaded the bases with one out with two walks and a hit-by-pitch, but risked squandering the scoring chance after Eric Wagaman struck out. Injury replacement callup Canaan Smith came to the rescue, though, with a soft line drive that sailed just past the diving Grant Williams’ glove and found the outfield grass in shallow left to put the Dogs on top 3-2. The knock forced Greenville starter Thaddeus Ward (0-0, 3.77) out of the contest after working 4.1 innings. Despite clinging to just a one-run lead from the fifth inning on, Charleston looked to be in complete control of the contest. Contreras fell two outs shy of tying his season-high in innings pitched, but he did contribute a solid 4.1 innings, allowing two runs on four hits, walking two and striking out five. Anderson Muñoz, recently called up as an injury replacement for Matt Sauer, made his season and Single-A debut in relief of Contreras, and stymied the Drive hitters for the next three innings before running into trouble in the top of the ninth. A leadoff single and a one-out walk set up the eventual game-winning two-run double by Williams to give the Drive a 4-3 lead they wouldn’t relinquish. Despite the rocky ninth, Muñoz impressed in his first appearance in the Holy City. He finished with a final line of four innings, two runs on two hits, three walks and eight strikeouts. Williams finished the night 2-for-4, driving in three of Greenville’s runs. The shortstop leads the Drive with 11 RBI on the season through the Red Sox affiliate’s first 13 games. Tuesday night brought the first Food Lion Live and Local Tuesday in association with 105.5 The Bridge to The Joe, as fans enjoyed live music and took in the sights and smells of the farmers’ markets on the concourse. Those in attendance with local IDs were also able to buy Grandstand tickets for $5. The Dogs’ own Bellyitcher Ale was one of the featured items encouraged for fans to try. The three-game set concludes with an early start Wednesday morning, at 11:05 a.m. with the first of two Education Days at Joe Riley Park this summer. Righty Jio Orozco (0-1, 2.16) will take the mound in the rare morning game for the Dogs, making his first appearance since the home opener and for the first time this year to start the game. For the Drive, Yasel Santana (0-1, 6.75) will look to shut down the Dogs’ offense. Santana’s ERA is not wholly indicative of his on-the-field performance up to this point, as his mark is inflated by his first outing of the season in which he allowed two earned runs in one third of an inning. Overall, Santana has three earned runs on seven hits in four innings to his name.